Cataracts are the number one cause of blindness worldwide and affect almost 25 million people age 40 and older. By age 80, roughly half of all American adults have cataracts. The good news is that modern advances in cataract surgery have made the procedure one of the safest and most effective types of operations. In the U.S., some 3.5 million cataract surgeries are performed annually. 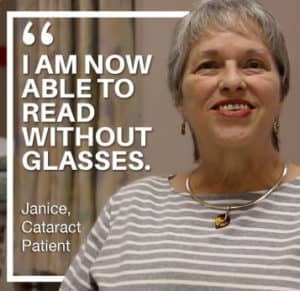 You only have one set of eyes, so if you’re going to undergo cataract surgery to improve your vision, you should trust that job to a specialized eye care surgery center. Tremendous skill is needed when performing cataract surgery, and surgeons have a narrow margin for error when operating on the eye. Your eyes, vision, and quality of life are too precious to leave in the hands of surgery centers who may not focus exclusively on the eyes and whose staff may perform different types of procedures, such as urology or arthroscopy. At Ocala Eye Surgery Center, all of our team members are expertly trained in ophthalmology procedures and all we do, every day, relates to comprehensive eye care for patients. In fact, we have one of the most accredited, experienced, and licensed surgery centers in the region. Our surgery center is accredited by AAAHC, the nation’s leading accrediting organization of outpatient facilities. We have undergone rigorous professional scrutiny by the highest-qualified AAAHC healthcare professionals and were found to provide quality care while meeting all of the federal, state, and regulatory guidelines. You obviously want your eye care surgery center to have your best interests at heart. Ocala Eye has built a reputation for being a patient-centered practice providing a full continuum of care from the moment you walk into our office, through diagnosis and surgery, and even follow-up and recovery. The facilities at Ocala Eye are measured against nationally recognized standards of care and have demonstrated a proven commitment to maintaining patient safety and privacy. In other words, there’s a reason 95% of patients say they would refer their friends and family to our care. Ocala Eye is the only ophthalmology practice in Marion County where you can be sure an eye surgeon is always on call, 24 hours a day, every day of the year. All of our ophthalmologists have years of surgical experience, and each is a member of leading professional associations for eye surgeons at the national, state, and local level. 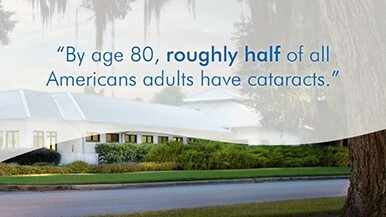 We are the most experienced, state-of-the-art eye care practice in North Central Florida. At our surgery center, the clinical team is specialized in eye care and eye surgery. In fact, many of the team members patients interact with are accredited, certified, licensed and specialized in eye care and ophthalmology. At Ocala Eye, we believe truth, trust and transparency matter in everything we do. We are extremely proud and honored to serve patients throughout North Central Florida. Our board-certified ophthalmologists and medical staff are dedicated to helping your vision last a lifetime.